So on Sunday my gorgeous boy turned Five years old. We stared the birthday celebrations on Saturday by going to the Zoo, thankfully we had lovely weather. We sent off to spend the whole day there, we had a great walk around looking and seeing all the animal Lexie had a great time looking too. Raiden even got to hold a little guinea pig too. Sunday morning came and Raiden had a mountain of presents to open. We decided to take him a play area with a ball pool with lots of slides. Lots of family came around to give him lots of presents too. Raiden got lots and lots of Lego, the place is looking a lot like legoland at the moment. Raiden had an amazing day. I cant believe it been five years already, you don't realise hen people say enjoy it as it goes too fast. You just think oh yeah but it doesn't go super quick. I love my little man more than anything! The lucky winner is @SaraLane112. Fed up Of Easter Eggs This Year, want to get the kids something different? With pocket-sized favourites like Moshi Monsters™ and the all new Dinowaurs™, as well as hot new wheels from the Razor range, there are Easter treats to suit every wallet from 99p to £50! 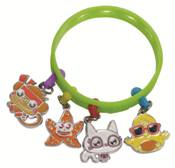 Girls and boys alike will love Moshi Monsters wearable accessories, launching in time for Easter. Items in the new range include Moshi Monsters Keychains (SRP £3.99) and the Moshi Monsters Zippsters (SRP £1.49), perfect to hang from any zip on school bags, pencil cases or clothes! Kids can also go back to school with glee with handfuls of Moshling Charmlings to swap, love and attach to their Moshi Monsters Charmling Bands (SRP £2.99). As each pack contains a wristband and 2 Moshling Charmlings, this is one accessory range which is sure not to break the bank! Boys will love the hottest new playground craze – Dinowaurs (SRP £1.99). A unique battle game with a dinosaur figure, information card and battle card in each pack, this game is sure to keep them entertained all Easter! 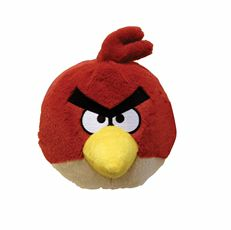 Stockists are, Tesco, The Entertainer, Smyths Toys and Toys R US. Ickee Stikeez (SRP from £0.99, Amazon, Sainsbury’s) is an amazing collection of squishy, squeezy, wacky miniature creatures that stick to almost anything! Sure to keep your little ones entertained through Easter lunch, kids will love finding places to stick these little critters. The hugely successful LEGO® Lights collection would brighten up any child’s Easter, If your little one is a secret Ninja, why not give the LEGO Ninjago keylight (SRP £6.99, John Lewis) this Easter. Unleash the power of the dark side with the Darth Vader Key Light (SRP £6.99, Tesco) or the Darth Vader Torch with its super detachable lightsaber (SRP £19.99, Smyths). Homework will never be a chore with the spectacular Darth Vader Desk Lamp with LED lightsaber and handy USB power supply (SRP £34.99). As you know Raiden is a massive Lego fan, he was pretty excited to find the Darth Vader keyring when he came home, he couldn't wait to take it to bed on that night. We are planing to do out the kids room so after seeing these stickers i think there a winner.Kids of all ages are sure to love re:creation’s ranges of LEGO Wall Stickers available now. Ready to brighten up bedroom walls everywhere are characters from the LEGO Ninjago (SRP £9.99, Amazon), LEGO Classic (SRP £9.99, Next) and LEGO City ranges (Small - SRP £9.99, Amazon, Large - SRP £19.99, Next). So much easier than a coat of paint or wrestling with wallpaper – these stickers are easy to use, just peel and go! How about really wowing the kids this Easter with a Razor Black Label A scooter (SRP: £49.99, Argos, Amazon). Taking the folding kick scooter concept to the extreme, this sporty scooter features Ultra Pro wheels and a full length pro deck. It’s THE choice for kids aged 5+ wanting to upgrade their scooter and get out in the fresh air this Easter! Well I've never been one to go cor look at that pushchair. I've never seen them as a massive baby accessory or thought OMG i have to have that one. I don't think i will would ever fully understand someone paying up to a £1000 for one. You could go on Holiday for that!! My max spend on a pushchair was £230! lol I use my pushchairs for the purpose of getting A to B, not the latest trend or it my daughter looks gorgeoues in it, as my kids would look beautiful in any pushchair. With finding out being pregnant with Raiden so late he's first pram was a second hand one a gorgeous Graco from eBay costing a mere £51. It came with everything, raincover, footmuff and carseat. We did use for two years until we buggered it up with too much shopping it was the best £51 i have ever spent. Over second pram was a Winnie The Pooh stroller which lasted a mere 5 months at £30 i didn't complain. The last pushchair we had for Raiden was a Maclaren quest, which we still have now. which was on sale at £80 when we brought it. This was the best out of the lot, lightweight with great room in the basket for shopping and easy to use. So we decided on a Mothercare trenton with Lexie which was the most i have spend ever on a pushchair £230, and its the one ive hated the most, huge, bulky and very heavy. Its been a total nightmare since day one. As you all know i was picked as a Quinnycaster and i love my Moodd pushchair now, its something i therogy i would never have been able to afford, so im so lucky to have been picked. So my total pushchair fund stands at £521, which i dont think is bad with two children. Although i will admit im a sucker for clothes the amount ive spent on them i wouldnt even want to total it up. I think every mom is a sucker for something pushchairs/shoes/clothes/dummies or even cloth nappies! Me and Lexie has had amazing opportunity to test out the new swimming lessons for babies....... water babies! After googling Water babies i was shocked to find out they get dunked on there first lesson. I think its natural instinct to keep babies from getting water on there face, never mind dunking them all the way in. So i can say the communication with water babies is amazing i would certainly give them 11/10, after emails, phone calls and letters i was put at ease. So the day came and off to water babies we went, the pools are heated so the baby's stay warm we was given a happy nappy ( waterproof nappy to put over a swimming nappy). The instructor was great, running though everything before we did it and i was surprised the 30 minute lesson felt like it was only 10 minutes long. It really was a relaxed and calm session. Lexie wasn't fazed that she had her first swim under water and the amazing videos I've came across and saw online, makes it a lot less scary now. Lexie had an amazing time. The lessons are pretty dear from £12-£15.75. That's because they invest a lot in training there instructors (at least 120 hours over ten days) Also pay to hire special warm water pools and each lesson is highly structured, with clearly visible results. They also have amazing under water shoots they do with your baby underwater. How cool would that be. I think if i had the cash its something i would definitely go for but at the moment its something i couldn't budget for. Contraceptive Implant & Teenage Girls. So last week it there was a mountain of news reports CLICK HERE and a lot of threads on how the contraceptive implant is going to be given out in secret to teens in school without parents knowing about it. I will hold my hand on my heart and say them three words I'm dreading '' mom I'm preganant'' Shes not even one yet and I'm already worried about latter years in life. For me at 23 becoming a mom was the most scariest thing, i seriously felt too young. I have nothing against young moms at all its each to there own, you decide when you when you want to. Back on to my thoughts and feeling i am determined to make sure both of my kids go to uni and get an amazing job. I don't want them to make do with a job, I've always had a job that i have loved that's how jobs should be. Today its just a way of living. I also want them to enjoy life, see the massive and beautiful world we live in, there is so much unhappiness we see on TV and in the news the world isn't always like that. To many beautiful places to go and explore and see. I hope in the teenage years me and Lexie have a relationship that she could confide in me and tell me anything and everything ..... but come on no child tells there parents everything! Ive watched a few teenage documentaries when some of the things they have said have left me gobsmacked. Like you cant get pregnant standing up.... Like Whatttt?? So I'm glad schools are battling with the teenage pregnancies and i hope that if she cant confide in me or her doctor she can a school teacher. I don't want her to ever be scared that if she makes a wrong decision that could taint the rest of her life, even though being a mom is amazing she has a lot of time to do other things first. I would her rather come back with any implant than a baby in her belly, but Ive also got to get over my fear that she is gonna make mistakes that life isn't easy and its a tough ride. It would be boring if it all ran smooth wouldn't it. So does it really matter 13, 20 or 30 its pretty likely I'm gonna hear then three words isn't it? Of course i would be a little upset but i also would be proud how much of a grown up decision she has made too. No matter what happens she would have my 100% support behind her. Anyone else have the same fears or are you hoping to be a nanny rather earlier than later in life? Well as you know Lexie has been under the weather with a viral infection, so I've held off testing these products until the rash had gone. My little Lexie has real sensitive skin, poor thing gets washed with mainly water and a bit of soap. so i was super pleased to have a chance to review and test some organic products. We was sent chamomile shampoo and body wash and soothing Organic Chamomile body lotion. So Earth Friendly baby boasts on a high quality, natural products that are healthy for babies, their friends and the planet - available at a price that everyone can afford. fragrances. Or use any parabens or sodium lauryl/laureth sulphate. None of there products are tested on animals, and all products are suitable for vegetarians. All the products are also suitable for vegans except for those who do not use beeswax which is found in the creams. I popped a bit of the body wash in to the baby as i was running it and there was instant bubbles and its smells divine. The smell isnt massivly strong just a fresh and virbant fragernce. After using the wash for nearly a week ive surpised it hasnt flared up Lexie, normally even organic products flare her up a bit but it seems ok. The body lotion is lovely, leaves the skin feeling smooth and soft and again has been very gentle on Lexies skin. Got to admit im guilty of using some on my tummy the lotions include shea butter so i hoping it may have an effect on my strech marks. The lotion is quite thin so its easily absorbed and non greasy it has a very subtle fragrance too. 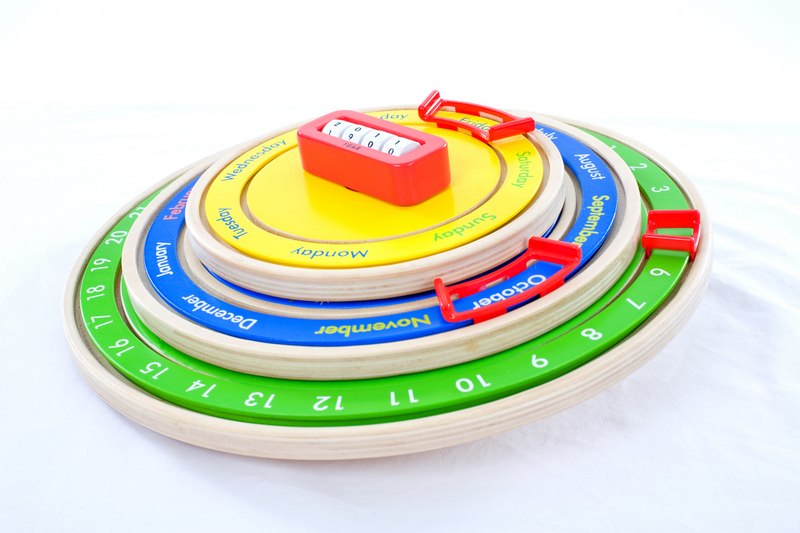 Circa is an innovative educational toy calendar designed to help children understand the cycles of the calendar using the toy's rotating and circular stacking design. 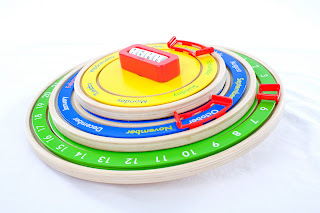 The toy encourages parent-child interaction, with its design based on ease of learning for children in a gradual progression at their individual paces. Fully assembled, Circa makes a beautiful children’s perpetual desk calendar, fit for any bedroom or living area. 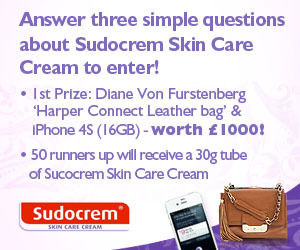 So the fabulous sudocream have came up with a brand spanking new competition for you. The prizes up for grabs are. A massive 155 entries, you lot do love your Lush!! A massive Thank you to all that entered! Congrats i will be in touch soon. Well it comes around so fast, I'm not a huge fan of valentines day. 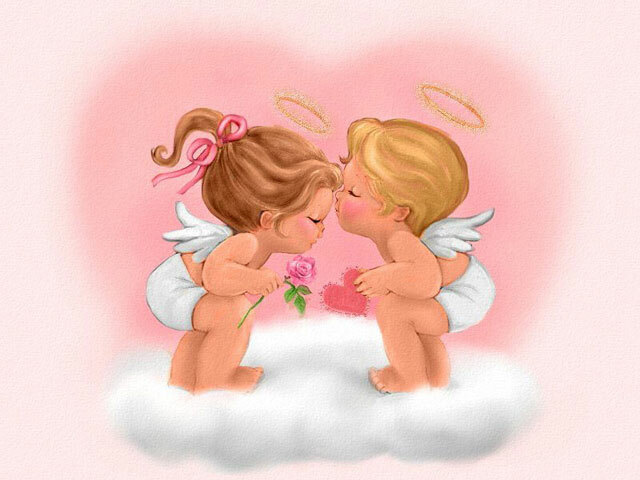 I think its a bit pointless of having a day to tell someone you love them. Shouldn't you do it all the time if there your true love. 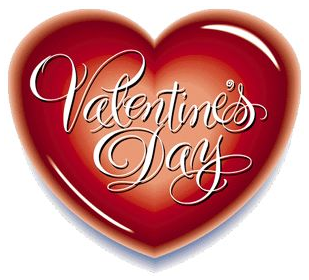 Prices are double if you go out and so do the prices of flowers and chocolates go thought the floor. Every year this day comes around and i think.... Is he gonna do it... ask the big question?? Maybe its got to be! After eight long years and two beautiful children, I've come to the conclusion i doubt its gonna happen. The hints I've dropped, and even though my Thomas Sabo stuff was gorgeous at Christmas. I really really just want a sparkly ring on my finger! I'm actually begining to hate the kids having a different name to me and Raiden has already asked why mine is different to he's. So this year it most likely a takeway, Dvd and cuddles on the sofa! So happy valentines day to all of you i do hope you all get spolit rotten and enjoy your day! Well with the half term looming, I’ve had to step up a gear and plan what I’m going to do with Raiden. One of the things I thought was plaster in Paris, you can buy a huge bag for a couple of quid with endless fun. You can buy it from most craft shops, Amazon and even eBay. I remember buying Raiden a shaker maker dinosaurs kit a few years back so I’m digging that out to do figures. You can also buy silicone moulds now with lots of fantastic shapes ( Poundland are great for these) , which you can use to make simple things like badges and magnetics. Again you can buy the pins and magnetic strips from most craft shops for about a £1 and when painted they are perfect as gifts for Valentine’s Day or mother’s day. Nothing beats a handmade gift. We all like keepsakes so I’ve decided to do handprints of both the kids hands, you can use anything for the mould. Again the silicone moulds are great if you can get a cake type one. Mix the plaster then wait until its going thicker bit like pancake mix then pop the hands for about 20 seconds. Then wait until its dry then paint. You can use the same concept for footprints too. There is so many things to do with plaster in Paris like a pretty stone collage or even shells which look amazing, all you do is mix the plaster, put it in mould again then add the shells and stones, if you pop a bit of string or ribbon while its drying you can then use that as a way of hanging it after. So last week we had an illness week of hell. Last Sunday Raiden came out in a rash, he used to be really rashy when he was a baby but since starting school hes been ok. When he woke up on Monday morning he was covered head to toe, he was itching it and said it felt like spiders was crawling on him. We popped up the doctors which he said Raiden had had an allergic reaction to something gave him some pirton and sent us on our way. We all had a DVD and duvet day and he seemed fine the next morning. Wednesday passed then lunchtime i noticed a very angry awful rash all over Lexie's neck, when i looked it was all over her back. First glance i thought it was chicken pox. Off to the doctors we went again to be told it was a viral infection and that she also had a throat infection. Lexie had been off her food so i felt pretty guilty about not picking up on it before. All Thursday Lexie was pretty clingy and sensitive all she wanted to do was sit on my lap having cuddles poor thing. Raiden seemed he's normal self until we was woken up with him being sick everywhere, bedroom, hall and bathroom, so there i was at 12.30 mopping it all up. He woke up the next day and the first thing he said was Mom I'm really sorry i was sick everywhere best him. Saturday morning he seemed ok so we decided to take him out to hickory dickorys. On the way he was sick on the bus and outside. I really don't know whats made him so poorly! Both of my kids just want cuddles and to lay on you when there ill, so a day of nothing again. I'm really hoping its the last of it, poor things!! 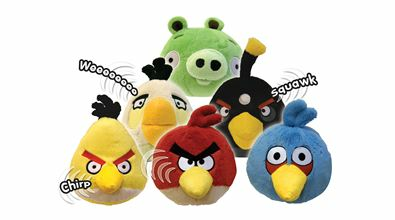 Treasure Island Toys has been a popular online store for many parents in the UK since 2008, but as of November 2011 the site became an entirely different sort of online experience. Treasure Island has created what they like to call a ‘Fun and Party Search Engine’ and is unique in the fact that not only can parents buy toys, furniture and birthday presents from the website, they can now arrange parties and days out for the kids, by finding children’s entertainers, party venues, kids attractions, evening classes, workshops and much, much more – all in one place. By entering your postcode or place name, parents can find a whole range of child friendly activities and more which are in their local area. They then have the ability to refine their search by using hundreds of different keywords ranging from Ballet, Balloon Modelling and Paintball, right through to Peddle Boats, African Drumming, Theatres and everything inbetween. Well today is the day the Quinny Moodd, defiantly gets a massive test. We woke up to bucket fulls of snow! So wrapped up all snug and warm off we went. I'm not sure how i thought the Moodd would go, i think i was rather expecting it to glide like its on skis as i stepped out the door pushed it and thought oh no! We took a slow walk up the park (10 minutes away up lots of hills) lots of stops and starts and a lot of pushing. getting up them hills gave me a good workout on my arms there aching now. Half way up to the park the other half said lock the front wheel which helped loads. You really had to push down on the bar and use the back wheels. Thinking about it it coped pretty well as what pushchair does cope in well in the snow without a struggle? I know when Raiden was younger and we had snow i had it drag the stroller doing wheelies like a crazy women! I took my other pushchair out and it didn't make it up the road so it comparison the Moodd was fantastic, at least it got me to the place i wanted to go. So the Moodd's massive wheels have come in Handy at least i know i would never get stranded. 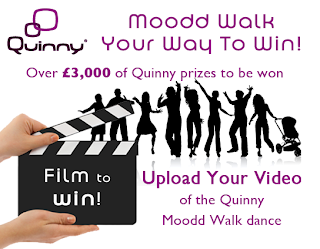 So do you think you have what it takes to star in your own walk this way Quinny video?? A dance company came up with the Moodd Walk, a dance routine inspired by the stylish, smart and easy to use Quinny Moodd pushchair. The dance has been choreographed so that anyone can do it and feel great. So, Moodd Walk Your Way and you could win the ultimate Quinny Moodd Travel System with Pushchair, Maxi-Cosi Pebble car seat and more – click HERE for the full breakdown. 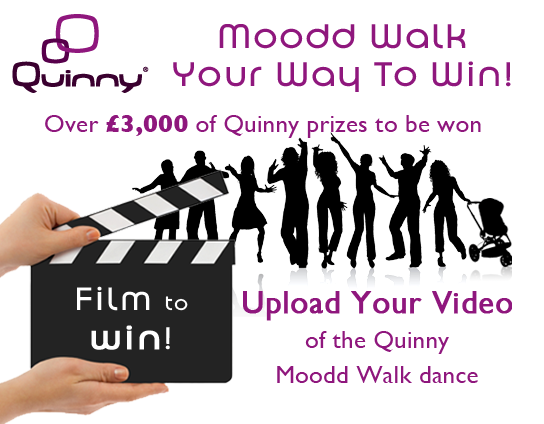 To enter, just upload your video version of the Quinny Moodd Walk! You can enter as an individual, a group of 4 or less, or a group of 5 or more, with a wide range of prizes to be won. To get started, Watch The Tutorial Video Now and click 'ENTER NOW and you could be a proud owner of a brand new Quinny Moodd Or Yezz. As you all know Lexie has pretty sensitive skin and keeps flaring up for no reason at all. I honestly do think its the washing powder, i tend to buy what on offer. so I'm swapping around powders most of the time. When i worked my washing bill out i was shocked that we spend on average £22 per month. That is around £264 a year just on washing our clothes!! I'm one of these types of people that the bottle of comfort will last three washes. I'm awful for that. Soap Nuts are a natural washing detergent that is literally grown on trees. The Soapnut shells contain Saponins which on contact with water release mild suds and can be used as an environmentally friendly alternative to Laundry detergent in washing machines. In India and Nepal the soap nuts have been used as a washing detergent for hundreds of years. Modern day thinking that we should consider the future of the planet we live in have made Soap Nuts popular. Not only are they effective but the Soap Nuts are also relatively cheap compared to supermarket bought washing powder. So what are the benefits of using soapnuts? Ecological and economical compared to other brands of detergent. A friend sent me a link for a trail pack off eBay, just incase i didn't get on with them. I was pretty surprised when they came they looked awful and didn't smell very nice either.The other half was certain that the washing was gonna smell disgusting. So a very cautious mommy popped five nuts in the little bag and clocked watched for the next 30 minutes. I was certainly surprised when i opened the washing machine door, there is a defiantly a soft washing fragrance, the washing was a lot soft than usual too. Ive got to admit that for me i like the comfort smell on my washing,nothing beats popping on a hoody and you smelling that smell. I only used half a capful, instead of the 1/3 of the bottle now. So i purchased a 1kg bag off eBay for £8.90, which I'm hoping with last me till November time. If it does it will be a massive saving in our household, just on changing one thing. In this day and age every penny counts! So i thank my dear friend, that has got me using nuts.